ECHOLYSE PROJECT - Olivier Ratsi, visual artist. The Echolyse project is an ensemble of works that deal with the perception of space. 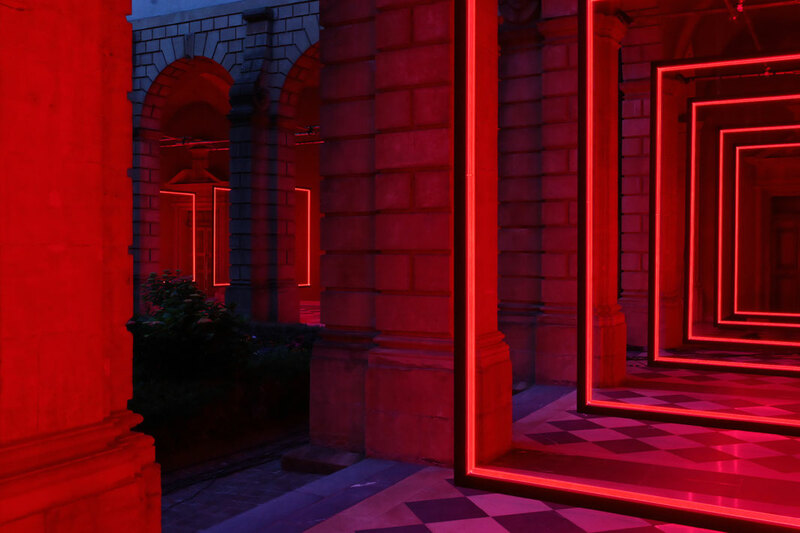 Using various devices, geometric structures are projected into different architectural sites with the aim of simulating immaterial three-dimensional spaces. Depending on the project, the resulting immaterial space can provide a virtual extension or a means of perturbing the existing space. The projected structures come to life, decomposing and breaking into fragments over time. Linear and repetitive, they are known as “Peelings,” a reference to the outer layers of certain vegetables. Hidden behind the first exterior membrane, the infinite number of layers reflects the idea that behind the visible, real world are other hidden aspects, imperceptible at first glance. In order to uncover these aspects, the production of the works in the Echolyse project draws on a technique of image distortion that originated from research into perspective first carried out by artists in Renaissance Italy: Anamorphosis. From one chosen viewpoint, generally placed centrally and at eye-level, the “Peelings” detach themselves from their backdrop in order to create an optical illusion. This means that the viewer has to move around the space in order to see the work appear. This idea was implemented in different forms and formats: Onion Skin, DELTΔ, RCTNGL, Frame Perspective and Pêle-Mêle are the works which show the project. 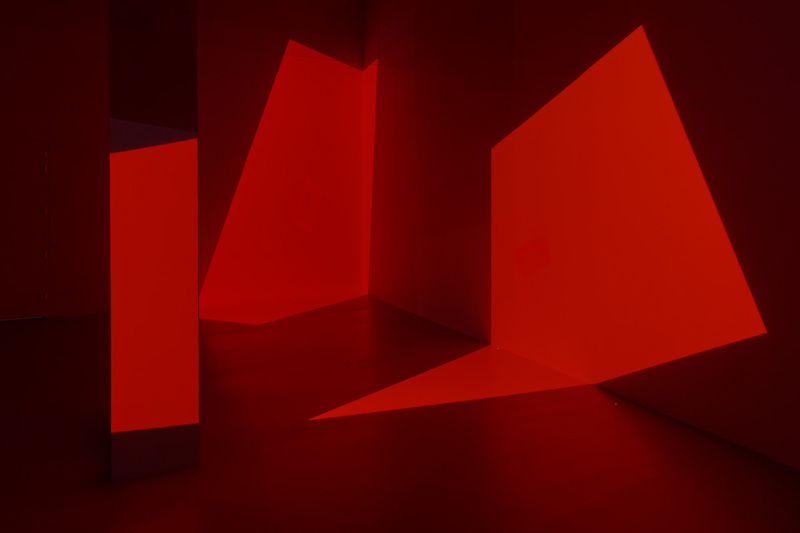 Delta, the second stage in the Echolyse project, is a site specific installation, that explores, through a dematerialized door, the possibility of a fictional three-dimensional space. 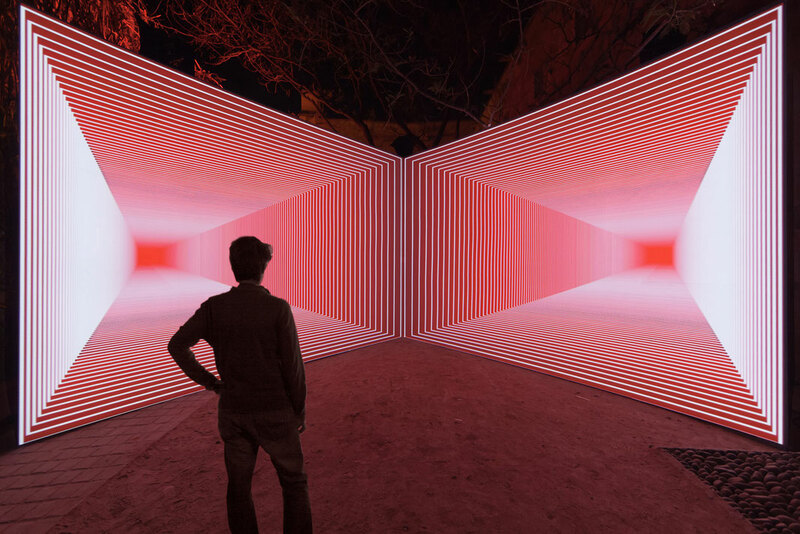 The audiovisual generative installation Pêle-Mêle uses a double anamorphosis visible from one sole and unique viewpoint. 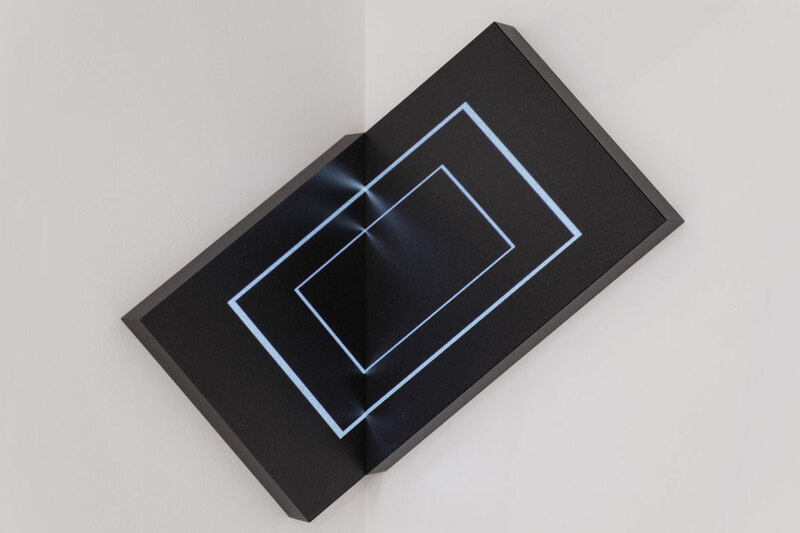 Upon entering the room, the viewer finds himself at equal distance between two transparent modules in the form of right angles, situated on either side of the space, which superimpose themselves on the existing environment. Geometric content made up of vertical and horizontal lines known as “Peelings” are projected and diffused from one module to the other. The illusion of depth generates a similar effect to “wormholes,” evoking the possibility of the existence of space-time tunnels, which could be seen as a reference to quantum physics. 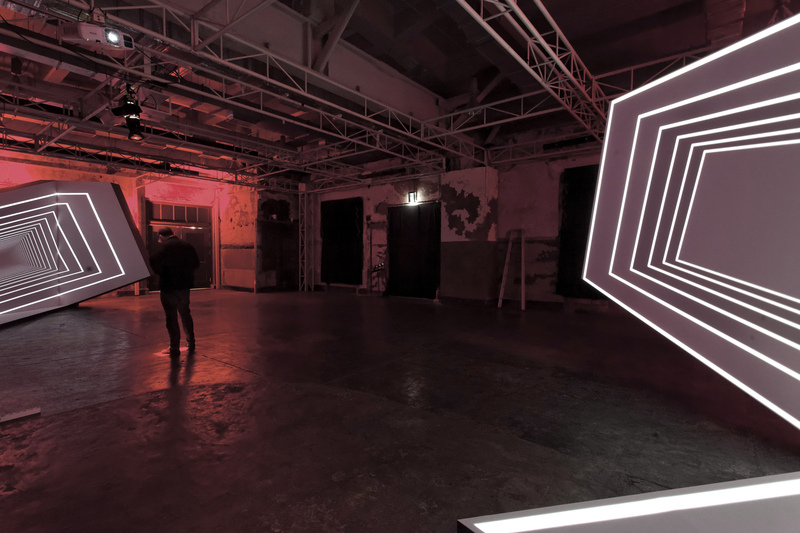 Viewers are free to move around within the structure and to choose their own viewpoint, wherever they are within the space.